The St. Patrick’s Day-inspired ice cream shake has been hitting the McDonald’s menu in March since the ’70s, and there’s a reason the minty vanilla shake has been a seasonal staple for the past four decades — because it’s insanely good. 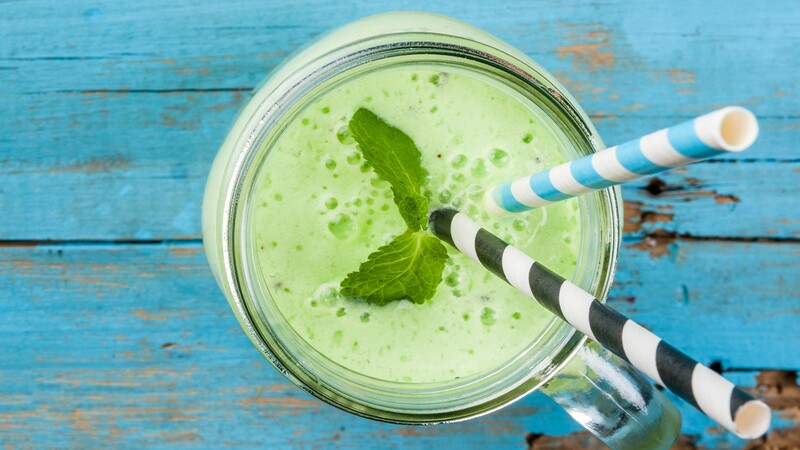 And you don’t even have to hit the fast-food drive-thru to get one anymore, because we have a copycat Shamrock Shake recipe right here. By “we,” we mean McCormick. They’ve created their very own Shamrock Shake recipe. Just be careful; now that you can make this frosty treat from home, it’ll take all the willpower you have not to make it all the time. But before we get into the recipe, here’s a little fun fact for you: The Shamrock Shake was originally called the St. Patrick’s Day Shake. Not only that, the original recipe had lemon-lime sherbet. It wasn’t until 1983 that the fast-food restaurant mixed vanilla ice cream with mint. Good call, McDonald’s. OK, that said, let’s get to it! To a blender, add the ice cream, milk, peppermint extract and green food coloring. Cover, and blend on high speed until smooth. A version of this article was originally published in February 2012.